Gripping final here in Saitama! Whistle goes and as we head into the break it remains goal-less here in Saitama. There is a small pocket of blue decked Al-Hilal who have made the trip from Saudi. Dominating possession and not letting the Saudi side any time on the ball. Frustration for the Saudi side! Cleared by Urawa and the danger for the home side abates. Otayf carded for a foul on Nagasawa. Much better the visitors as the game progresses. 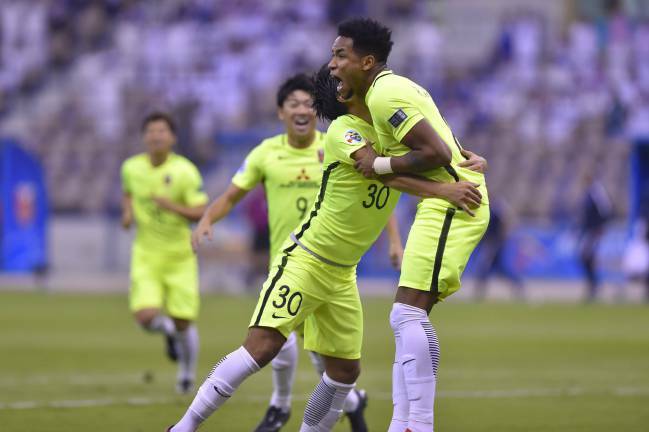 The Saudi side need to push on as time passses by in Saitama.